A stylish piece of Jewish sterling silver jewelry, this beautiful, customizable Star of David / Magen David necklace can be engraved and personalized with your name in Hebrew. 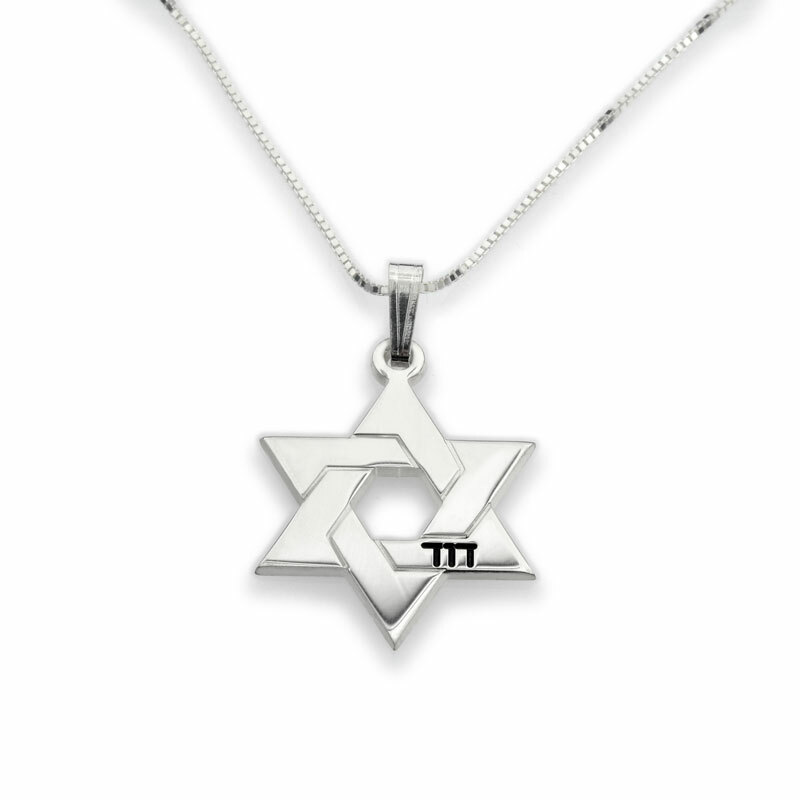 Magen David pendants are widely available, but this one, with your name on it, will be especially unique. Jewish jewelry like Star of David or Hamsa necklace pendants are easy to come by nowadays. Anyone can buy one and practically everyone has one. 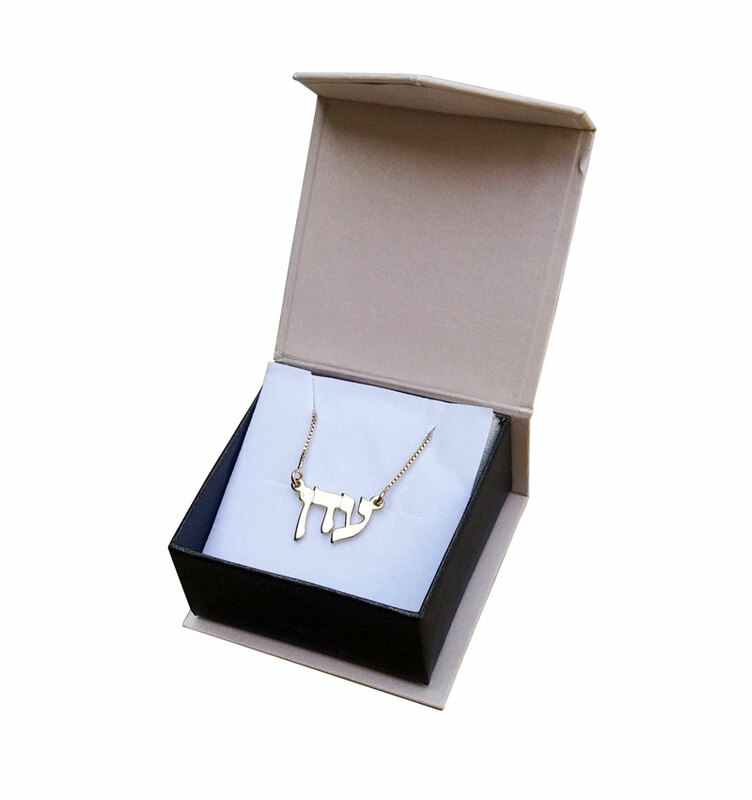 But now, you can own a piece of Jewish jewelry that's truly unique to call your own - a customized Star of David name necklace which is engraved with your own name using Hebrew letters. Finely detailed in its exquisite design, this six pointed silver star personalized pendant is a stylish and intimate way of proudly wearing your Jewish identity. Known in Hebrew as the Magen David, the six pointed star is most commonly associated with the Jewish nation and the modern Israeli country. Also known as the Shield of David, the shield of the first Judean king of Israel, David, was believed to be of this unique shape. Today, it is an emblem of the Jewish state as well as the universal symbol of the Jewish faith.